Get competitive quotes on outdoor advertising in La Crosse! 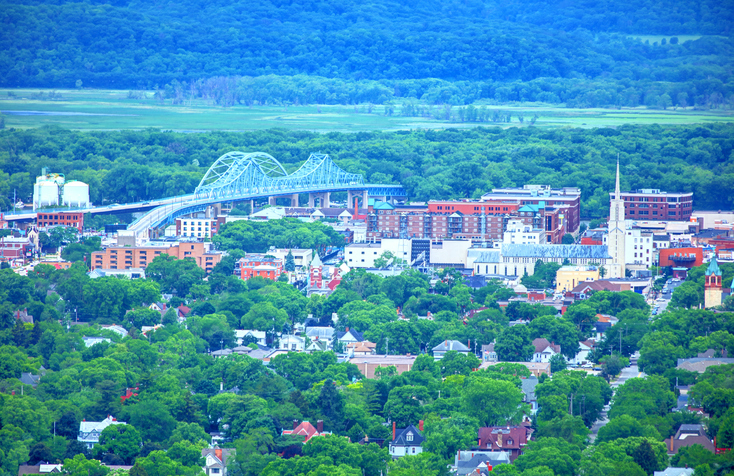 Located along the Mississippi River, La Crosse is a top location for outdoor advertising. Prime billboard opportunities lie along I-90 and US 14. Consider a billboard near Valley View Mall and Village Shopping Center to target locals. Or, take advantage of space near Grandad Bluff Park and Children’s Museum of La Crosse to attract families. Don’t forget to utilize transit and bus advertising to take your campaign citywide. Choose an ad format below to learn more. Or, begin by browsing BillboardsIn’s wide database of OOH options.